Why Go to A Writers’ Conference? For an old car guy like me, participating in the world’s largest car event during this week’s Woodward Dream Cruise, is something that should be monopolizing my time. 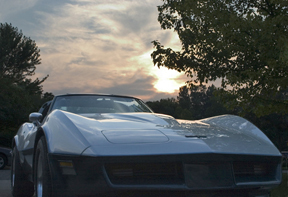 I mean, I’ve got my summer car (a silver-over-blue 1981 Corvette) all shined up and ready to go, and the weather looks like it’s going to be absolutely perfect. Even so, I’ve still been thinking about the local writing group meeting I’m supposed to facilitate next Tuesday. The regular host of the group, Michael Dwyer, asked me to sit in for him. I’m a little nervous, although it really isn’t a super tough gig. I mean, the meeting is all set up, Michael will send out the reminder emails, and the people who come … mostly writers or folks who want to be … usually generate more than enough questions to keep a lively discussion going on the business of writing for a couple of hours. Mike’s a local writer who goes to a lot of trouble to set up and facilitate these monthly meetings. I go to most of them, always enjoy myself and never fail to come away with some positive learning. I’ll be content if I’m at least half as good at it. Michael also puts together my favorite annual writers’ conference, which I just realized is now less than two months away. October 5, 2013 will mark the date for the sixth annual Rochester Writers’ Conference at Oakland University in Rochester, Michigan. It’s a one-day conference with a variety of sessions and guest speakers. I’ve attended every one so far, and even co-hosted a break-out session last year on self-publishing. Smaller, local conferences like this are a great way to network with other writers and industry professionals. 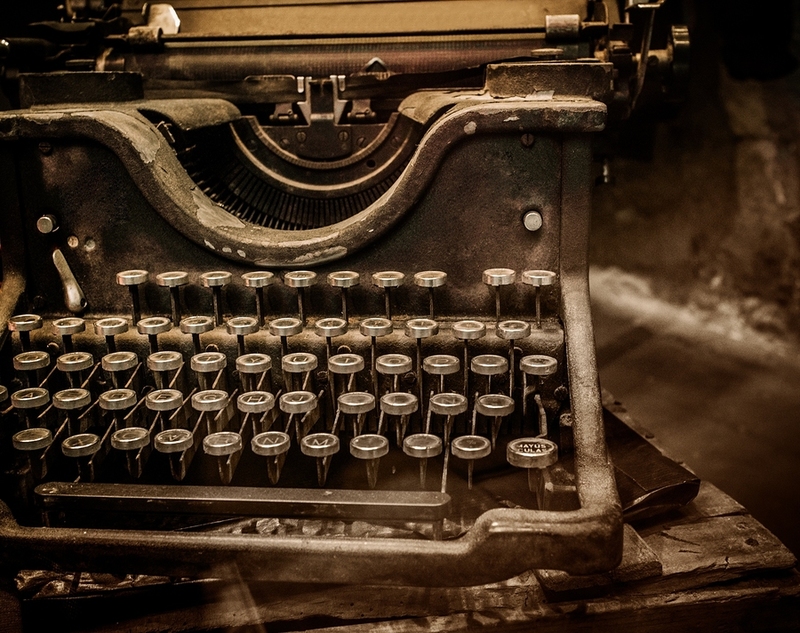 They tend to be much less expensive and far less intimidating than big national conferences, but I guarantee you’ll still occasionally meet agents and publisher reps, make some great connections and get an intense one-day course in the craft of writing. DON’T dress up. Wearing something distinctive may help people remember you (Bohemian writer look maybe? ), but even a one-day conference can seem long and intense and you’ll be glad nothing is chafing your neck. Wear comfortable clothes. DO a Google search of as many presenters as you can identify, and learn as much about them as you can. That way you’ll have good subjects for conversation if you have a chance to chat. A lot of indie authors see conferences as a means to move into traditional publishing, but don’t pitch your project to publisher reps or literary agents you may meet unless you happen to be in a specified pitch session. However, it will never hurt to ask anyone how they’re enjoying the conference, or to offer to get them a cup of coffee. Just being friendly can make you memorable. DON’T bring all 1,759 pages of your sci-fi/horror/zombie/romance manuscript and try to thrust it on conference presenters or fellow attendees (do I hear critique session, anyone?). And if it’s really a 1,759 page sci-fi/horror/zombie/romance manuscript … don’t bother anyone else with it. Particularly me. Please. DO get business cards printed if you don’t have any yet. I think they’re essential for networking. I’ve lost count of the people I’ve met who don’t have any … and I’ve also lost the scrap of paper where I wrote their contact information. DON’T forget to prepare your “elevator pitch” beforehand, so you can tell any literary agent, editor, publisher or fellow writer what your book is about in three sentences. Have your logline, your hook and your pitch ready to go. Don’t expect to get a chance to use any of it, but have it ready, just in case. I realize some definitions might help (I do edit this blog, even with my tendency to ramble). A Logline is a term that once applied only to screenplays, but has been creeping into the literary world. It consists of one or two sentences describing the story’s premise, like a film description in TV Guide. When_____happens to____, he/she must____or face____. A Hook is longer. The hook should be the main component of a query letter to an agent or, if you happen to be an indie author like me, is essential for your Amazon blurb. It’s usually a paragraph or two giving the main characters, premise and conflict. A Pitch can contain either or both of the above. It tells what your book is about and why somebody should buy it. It’s what you memorize before you go to a Writers’ Conference, especially if hoping you’ll get trapped in an elevator with Sister Five editors. A good pitch answers these questions: Who? Where? What’s the conflict? What action does the protagonist take? What’s at stake? How is it unique? DO take a notebook and several pens. Bring your laptop, if you must, but it’s very often something people hide behind. Bad idea. Besides, wifi at some conferences can be iffy, and batteries die. DON’T be intimidated by recognizable authors, agents or editors. They’re people too. Try to tell yourself they’re as afraid of you as you are of them. It’s true. Honest. DO remember to have fun. You’re there to make friends as well as learn. Connections will probably be the most important thing you take away from the conference. Writing is hard work, and I really believe most writers keep writing to feel the joy of the process. I know I do. I’m in it for those moments when the muse tosses words from my brain onto the page and they actually assemble in a somewhat meaningful way. Publication is a nice bonus and a sale is confirmation that someone might really want to read those muse-driven thoughts we’ve all written down. Attend a writing conference if you have a chance. It’s a pleasant surprise to realize how many others are mesmerized by the same thing. A conference tells us we’re not alone. Keep writing. It feels good. Enjoy the journey. This entry was posted on August 16, 2013 at 8:03 am and is filed under Award-Winning Fiction, Book Promotion, Freelance Marketplace Writers' Group, Market Your Book. You can follow any responses to this entry through the RSS 2.0 feed. You can leave a response, or trackback from your own site. Ron, thanks for writing about the conference. I’m excited about attending for the first time this year. But I’m confused as to when we select the sessions we want to attend. There’s no mention of a schedule on the website as far as I can see. Can you shed some light on this for me? Mike Wylie usually sends an email about the conference to everyone who registers as soon as speakers and break-out sessions are finalized. You won’t have to choose until the day of the conference, but it’s always good to know about them beforehand, so you can think about the ones that might be right for your situation. What an extraordinary “hit-the-nail-on-the-head” review! Michael Dwyer and The Rochester Writer’s Conference is an excellent choice. Each year I have walked away with valuable information and enthusiasm for my craft and my fellow writers. I’ll certainly be attending this year, and letting all my writerly friends know about it, too! I’ve attended the Rochester Writer Conference last year. I was contemplating going again this year. If I do, it will be my third for 2013. This is only my second year attending writer conference and I enjoy them. I’m learning a lot and meeting authors and hopefuls like me. I’m planning to be at Rochester Writers again this year, too. Michael hasn’t asked me to present anything, but then he didn’t until the week before last time. 🙂 Looking forward to it. I always learn something when I go. I went to my first conference in Seattle this year and will definitely be going again next year. At 3.5 days the PNWA conference is a tad longish, but so worth it.